Rev. 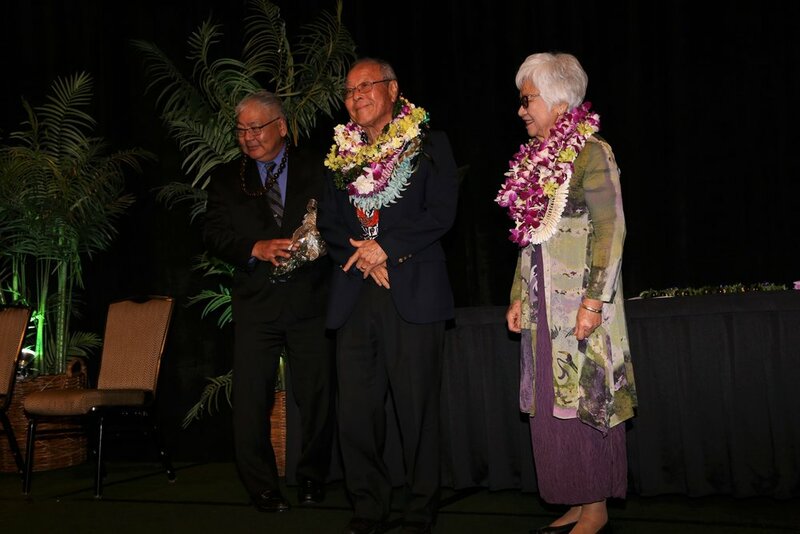 David & Irene Nakamoto were honored for his retirement at the 106th Annual Honpa Hongwanji Mission of Hawaii Legislative Assembly (Giseikai) on February 10, 2018. Rev. Nakamoto retired in September 2017 after seven years as Kailua Hongwanji's resident minister. In 2010, Rev. 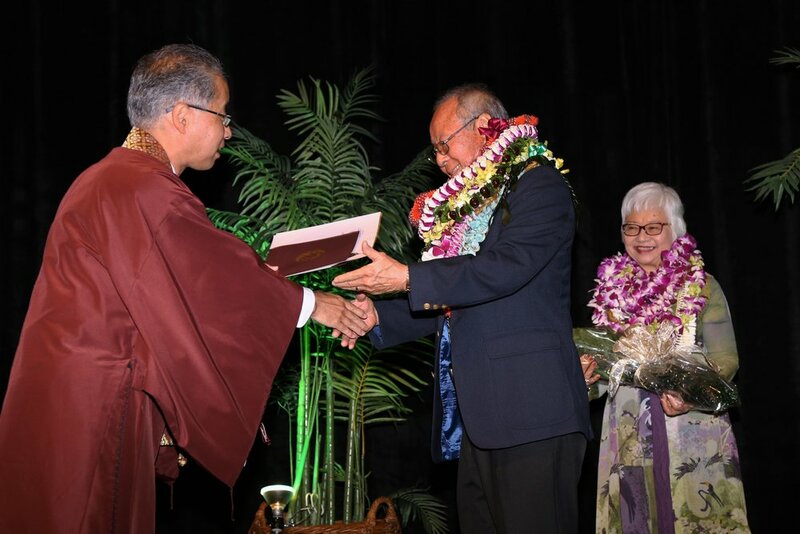 David Nakamoto came to Kailua Hongwanji and spent the next 7 years as our minister before retiring in 2017. Rev. Nakamoto was our guest speaker for today's Family Service. Click below to watch his Dharma Message. 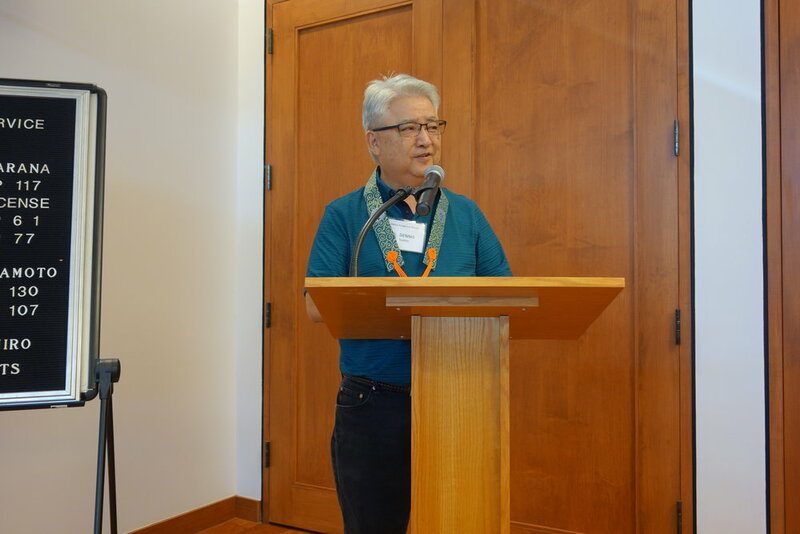 After today's service, the sangha celebrated with Rev. 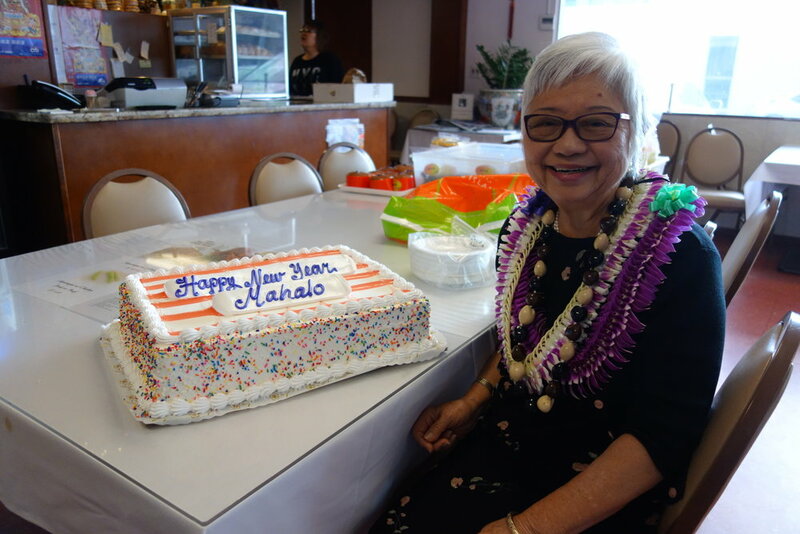 Nakamoto at a retirement luncheon at the New Mui Kwai restaurant in Kailua. Obon is a time when families come together. It is a special time because families being together is truly special. Together they honor their parents and ancestors through the service and have fun together at the bon dances. This family togetherness is not always acknowledged and it is important to realize that the specialness of the time is made special because the family is interacting and feeling the importance of the connection that occurs with family coming together. Imagine what it would be like to not be able to be together as family? The feeling of loneliness is the direct opposite of togetherness, and this for many of us, is something we can understand well. 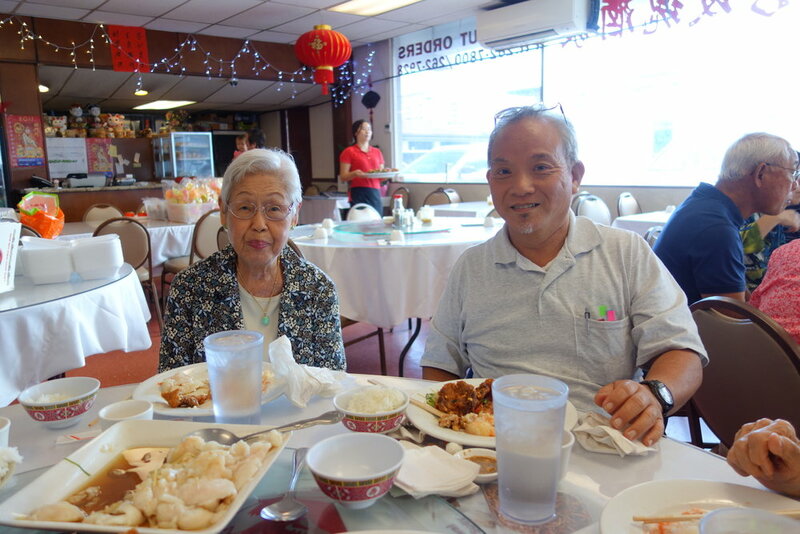 During obon, let us be reminded of our gratitude to our parents and ancestors. Through this awareness may we more fully realize the interdependent nature of life and be able to express it in our daily lives. Let us at this time of obon take full advantage of the opportunity for family to come together and realize the specialness of the conditions that allow the family to be together. The journey of life brings adversity. In life we cannot escape hindrances and setbacks. For some people, these hindrances and setbacks become sources of empty complaints and grudges, but for others, the hindrances surpass their mundane life. This difference comes from how they face their own lives, or rather, from whether they have received the wisdom with which they deal with obstructions in life. When we understand that in prosperity or in adversity, every event in life is the practice hall of the Dharma where we can look at truth and reality and realize that nothing is useless or meaningless in the world. That is why Shinran says, “This Tathagata pervades the countless worlds.” For the practice of shinjin who humbly tries to hear truth from everything and every event, even devils and followers of other religions turn into good teachers. However, to be able to see the Tathagata in devils, we must have the wisdom given by Tathagata. Jodo Shinshu is not a religion that prays for elimination of misfortunes from life, for Amida Buddha directs to us the wisdom that turns misfortune into merit. May we give thanks to our teacher Shinran whose path to gain emancipation, was compassionately shared with others and therefore allows us to share and experience this great path of awakening.